Having higher than normal eye pressure or measurement of fluid pressure inside of the eye places a person at higher risk of developing glaucoma. Some people can have higher eye pressures, with no glaucoma and some people can have lower eye pressure, with definite glaucoma. However, on average, the higher the eye pressure, the more risk you have of developing glaucoma. It is now believed that corneal thickness plays an important role in correctly interpreting eye pressure. Thickness of the cornea, therefore, should be considered when deciding your risk of developing glaucoma. At one time, corneal thickness was thought to be about the same in all patients. Recent research, however, suggests that corneal thickness can vary quite dramatically from person to person. Pressure inside the eye is measured by a device called a "tonometer." The accuracy of the pressure reading, however, may be misleading. Studies have shown that a thinner cornea may result in an artificially low-pressure measurement, while a thicker cornea may result in a measurement that is higher. This possible misreading is important, because a person with a seemingly low pressure (suggesting he has little risk of developing glaucoma) may actually be at high risk and in need of treatment. The person's true eye pressure only appears to be lower due to the thinness of the cornea. Doctors now include the measurement of the thickness of the cornea, known as pachymetry, as a part of standard glaucoma evaluations. Although researchers disagree on the exact correction factor that should be used, doctors now have a general idea of what assumptions to make if a patient has a somewhat thin or thick cornea. Pachymetry has become a standard diagnostic test to aid in the diagnosis of glaucoma. Not to confuse the issue too much, but other studies are showing that corneal thickness may actually influence our eye pressure reading we measure, but corneal thickness, by itself, may be an independent risk for glaucoma progression. This may seem a bit confusing. However, the studies are looking at the total risk of glaucoma and the thickness of someone's cornea, not necessarily, exactly how that pressure influences the pressure reading itself. The studies showed that a drop in 40 microns of corneal thickness equals about a 70 percent higher chance of developing glaucoma. This shows that a thicker cornea may be enough, by itself, to offset the risk associated with elevated eye pressure. Said in another way, a person that measures 30 mm Hg and has a corneal thickness of 600 microns has about half the risk of developing glaucoma than a person with eye pressures of 20 mm Hg and a corneal thickness of 500 microns. To put it into simpler terms, the cornea may be just as important a factor to consider that the actual eye pressure is. One thing we know for sure is that pachymetry, the measure of corneal thickness, is an important measurement to collect when assessing a person's risk for glaucoma. Ophthalmic News and Education Network, "Normal Tension Glaucoma: Corneal Pachymetry." American Academy of Ophthalmology (online course) May 2006. 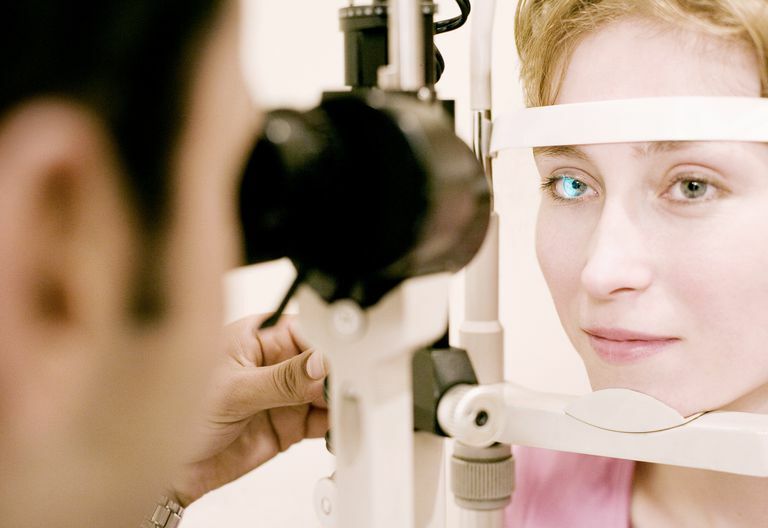 Is There a Link Between High Blood Pressure & Glaucoma? Why Does Aging Lead to Glaucoma?